HTTP (HyperText Transfer Protocol) or response status codes refer to requests to a web server made by search engines or visitors on a website. These codes are always represented by three numbers beginning with 1.2.3.4 or 5. This code indicates the status of a web element. 100s: informational. The request has been received and the process is going on. 200s: success: the request has been received and works well. 300s: redirect: the request has been received but needs a extra step to be completed. 400s: client error: the request has been asked by a client but the destination page is not correct. 500s: server error: the request asked by the client was correct but the server failed to deliver it. And then, even if a lot of different HTTP status codes can occur, not all of them impact negatively your SEO. 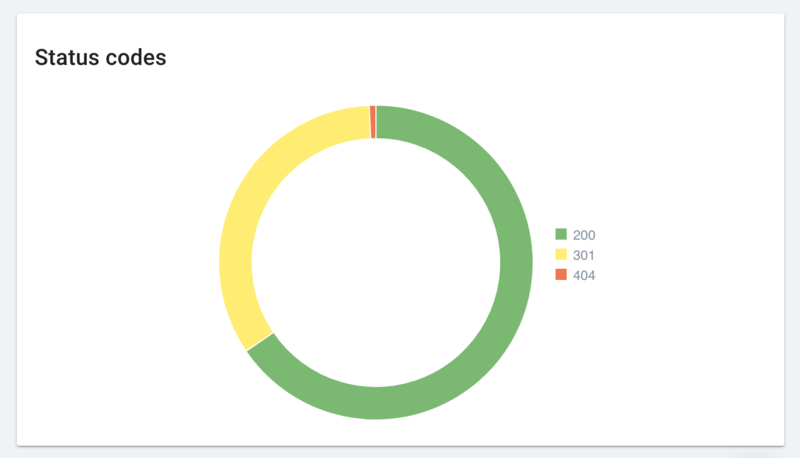 OnCrawl delivers a clear report of your status code performances. If you click on the 404 errors for instance, you will see which specific URLs are concerned. The request has been successful, which mean everything is normal. The requested page has been assigned a new permanent URL so it means any reference to this source should use a returned URL. This redirection is used when an URL needs to redirect to another. This status code means that the server is responding to a request with a page from a different location while the requester keeps using the original location for future request. In clear, this process is not optimal because it doesn’t tell in the right way search engines that a page has changed location. In fact, using this status code obliges search engines to use the redirect as temporary without giving the link juice of 301 redirects. This status means that the server has not find anything related to the requested URL, which can be permanent or temporary. In most cases, a 404 errors message is displayed by webmasters. As a permanent condition, the URL requested is not available anymore and no forwarding address is known. The request asked cannot be realised because of server issues due to overloading or maintenance. This status code should be used whenever the server is out of use for a temporary period. Also, this status code tells search engines to come back later because the page is just out of use for a short amount of time. Prefer a 301 redirect rather than a 302 when redirecting an URL on a site to allow link juice to pass. Customize your 404 pages with recommended navigational options if visitors meet those pages. Pages that are in 404 for a long period of time and that contain qualitative links should be convert into 301 redirect to other web pages.